If it weren’t for @TheIRD, I would have no idea what the above event is. I’m talking about Fortnight for Freedom – an effort by the US Conference of Catholic Bishops to bring attention to what they feel is a war on religious liberty. There is, of course, no war. That hasn’t stopped the USCCB from creating this event from whole cloth. What is it? It’s a two week event that begins today, and ends on July 4th – which isn’t heavy-handed in the least. What does @TheIRD have to do with it? Nothing. They just featured a blog post from one of their interns about it. The thing is, @TheIRD uses any excuse to add another layer to the myth – yes, myth – that religious liberty in this country is under attack. It has become no more than a schtick to them – or any of their ilk. The phony cries of a “war on religious liberty” are more often fundraising pleas, than actual concern for actual instances of incursions on those who seek religious liberty. Whenever some semi-prominent religious person is shouted down by someone with a differing opinion – or some small town nativity scene is forced to move from city hall to the church grounds – certain Christians hit the airwaves to cry foul. It also doesn’t help that pompous media figures posing as journalists bring the offended parties on their FOX News shows and ask questions to get answers that aren’t actual journalism – but shilling to a particular population subset. Why does this persecution schtick make us look like dopes? This story from Patheos recounts 6 recent stories of actual persecution against Christians in portions of the world where Christians face actual opposition. American Christians are so spoiled and weak. Is it any wonder that the church continues it’s decline, considering that a mere disagreement with a Christian is construed to be an attack on religious liberty? It seems silly to have to explain this, but your First Amendment rights mean you have the right to say what you want. It also means that others have the right to say what they want. Free speech rights do not protect you from people saying they disagree with you. When we don’t act like we understand that, we look like dopes. 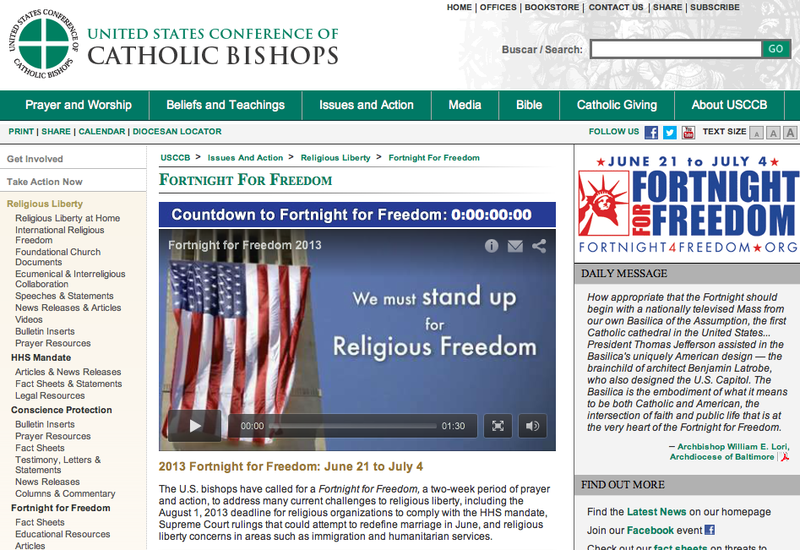 Now, the Fortnight for Freedom has more to do with the USCCB’s snit with HHS over reproductive issues. It’s still not a war on religious liberty. It’s figuring out that your religious rights stop at someone else’s reproductive system. So, I mean, come on. Let’s act like adults who understand that we don’t always get our way, and not petulant children who throw fits when we don’t. There really is no substitute for the community inherent in living the Christian faith. I thought this was a funny way of describing it's importance. Great way to use your tweets, Dr. West. His blog is also good. Maybe go check it out. Your Coffee is Reporting for Duty! I thought you could use some motivation for your Friday. 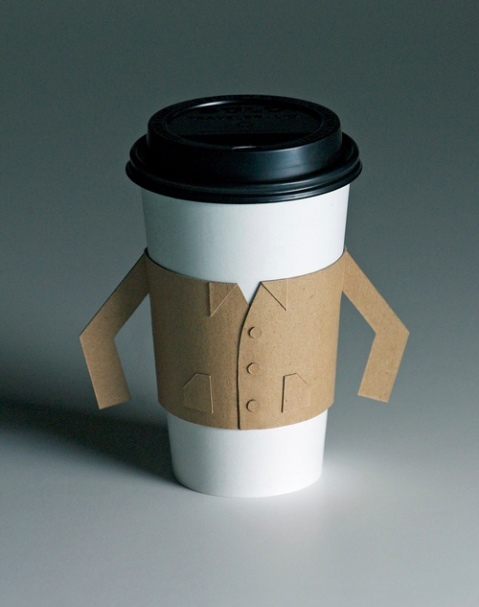 If you can't get up for your coffee, know that your coffee is getting up for you! This comes to you courtesy of hovercraftdoggy.com – a blog to which I subscribe.